Welcome to Samudra House, an exclusive luxury beach front villa in Sri Lanka. Ideal for small families or as a romantic couple’s getaway. 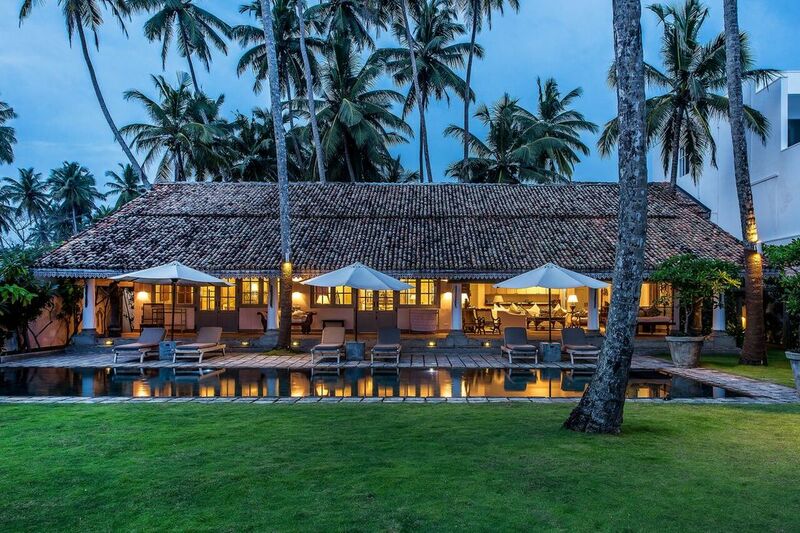 A stunning beach front villa designed by one of Sri Lanka's premier architects, Jayatillaka Sumangala, with direct access to one of Sri Lanka’s most beautiful beaches and close to the historic UNESCO heritage site of Galle Fort. Beautifully furnished, private and tranquil with two ensuite double bedrooms with sea views, a large living area with open-plan kitchen and a dining pavilion. The villa also has a large 55 x 15ft infinity pool situated in a beautiful tropical garden. The villa is fully staffed, including a private chef and in-villa massage treatments and yoga classes can be organised.